Thoughts, tips, and tricks to help you become a better gardener in and around your home. Be prepared New England. The negative impact of the 2016 drought may be visible now. Water deficits cause the fine root hairs of plants and shrubs, especially newly planted ones, to close and desiccate. As the root length shrinks, the plant becomes unstable and vulnerable to diseases and insects. 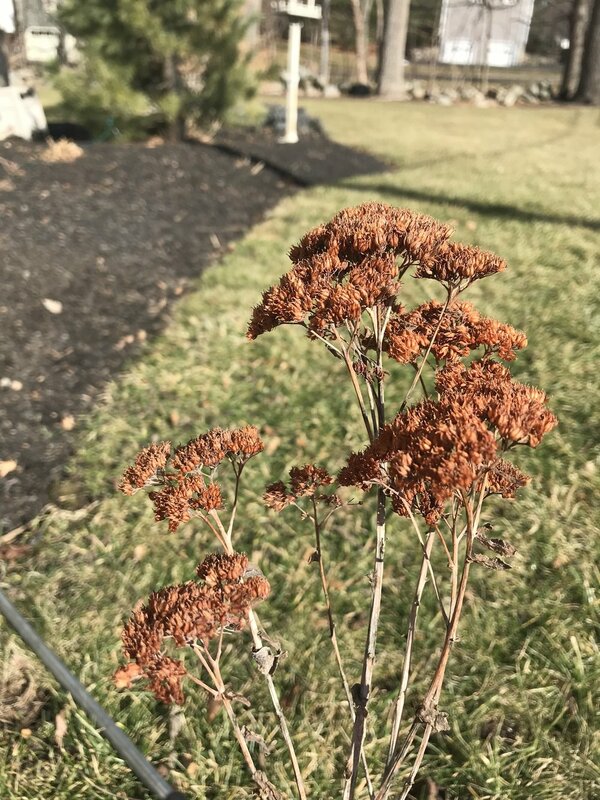 If you begin noticing wilt, lost branches, mushrooms found on the base of a tree (root rot) or larger openings (cankers) in the bark, it may be a symptom of drought injury. And while it's easy to forget all of those water bans, it is important to remember these effects when diagnosing plant problems this season. 1. Layer 3 inches of mulch to the END of the canopy or drip line of a shrub or tree. 2. Don't prune or fertilize during dry periods as it stimulates growth. 3. If a "sun loving plant" keeps wilting, it may need organic materials (compost, peat) mixed deep into the soil. 4. Water slow and deep, up to 3 times a week for tender or new plants. 5. REMOVE weeds. They steal water and nutrients in your soil. 6. Begin choosing drought tolerant alternatives. They are just as beautiful and low maintenance. These may include shrubs like, Oak Leaf Hydrangea, Junipers, Smoketree or perennials, such as, yarrow, coreopsis (tickseed), cranesbill, daylily, sedum, lavender, and potentilla. Why should every New England gardener take ELA’s webinar on “Invasive Plants”? So you don't do what I did and propagate a bully. As a member of the Ecological Landscape Alliance, I wanted to take advantage of their free webinar on “Invasive Plants”. The presentation by Bruce Wenning was very informative. Boy was I surprised and feeling a little GUILTY when I saw one of my favorite plants. There it was, ON THE LIST, a plant I had transplanted for years and even shared with friends. Bruce makes many great points about the importance of maintaining a balanced ecosystem. He also makes a good practical point. Invasive plants are a 'pain in the neck'. Ultimately, getting rid of an invasive is less work for a gardener. Take for example, my bishops weed. Yes, my neighbors and I enjoyed its bright, variegated leaves, but containing and cutting it back was EXHAUSTING. 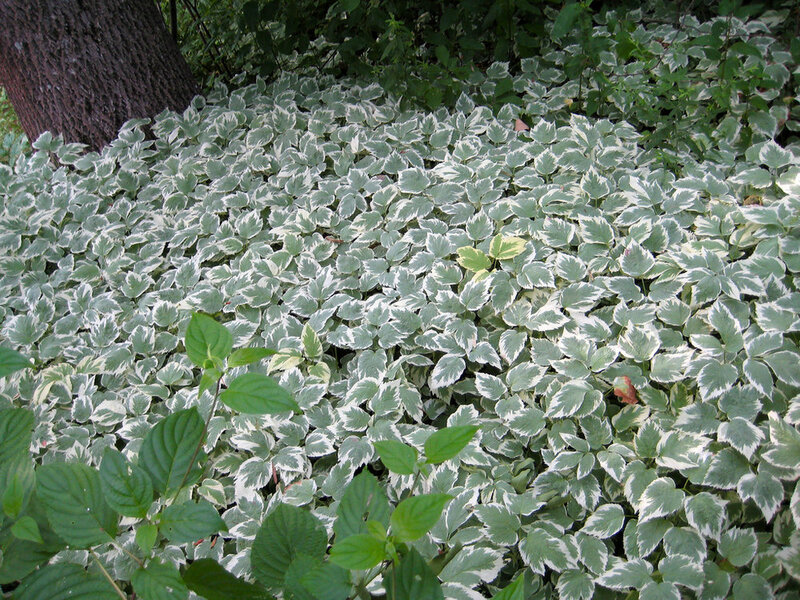 And while I will miss my variegated friend, ELA provides a list of wonderful native alternatives. I never appreciated this plant until I observed its full potential. Like many New England gardeners, I planted Autumn Joy for its drought tolerance, autumn color and, of course, as a snack for bees. Being an easy plant to divide, I split up my mounds of Sedums transplanting one batch to a shadier part of my garden. This is the second year I have noticed that Autumn Joy grown in full sun developed a more intense shade of copper which was stunning ALL winter. But if you really want to maximize their beauty, try two tips. One, plant them in a bed which has year round full sun. Yes, even in the winter. The summer sun will bring out the rich color in the fall and it will remain on the plant as it dries. Second, plant them in bed with dark mulch, otherwise their color will blend. Remember, mulch matters too! Can You Make Hypertufa Pots Inside? However, making hypertufa pots inside required a couple of other steps. 1. I covered my large dining room table with a soft table cloth and then covered that with a plastic drop cloth (or plastic bags taped together). 2. To keep the dust contained, I kept the cement mixing pan in a drawstring garbage bag and kept it pulled fairly tight so that while mixing and adding the materials, the dust stayed inside the bag. I never needed the mask. 1. Follow the portions in the recipe EXACTLY. 2. Drill a tiny drainage hole as hypertufa is very porous. 3. If using the 'mold in mold' method and cooking spray did not help release the pot, tamp it evenly and gently with a soft mallet. 4. Wait to put a plant into the pot until it has thoroughly dried to a light grey. It may take 2-3 weeks. Copyright © 2019 Maeve's Garden, LLC. Designed with beauty, simplicity, and purpose.